Despite a big range in experience, age and fitness levels, Glasgow Alphas managed to provide an enjoyable and welcoming experience for the 17 enthusiastic new members who came along. Coach and founder of the club, Adam Harrison, was delighted with the turnout and excited about the future of the group. 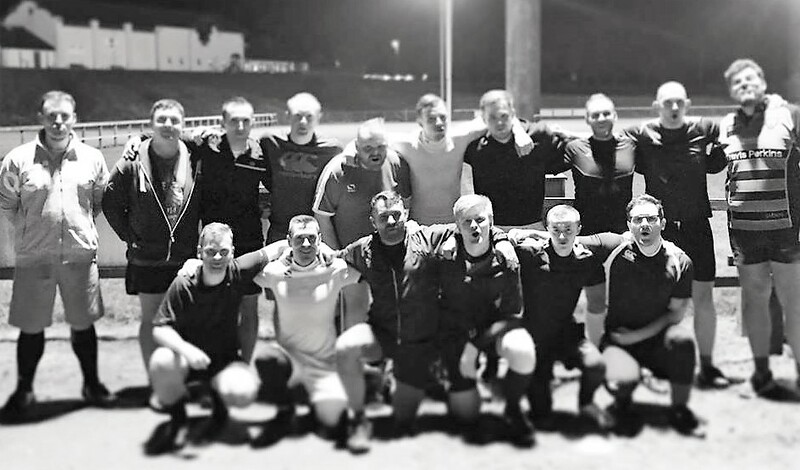 Although the Caledonian Thebans in Edinburgh have been around for 13 years now, this marks the first time that a gay rugby club have met in Glasgow, despite a few attempts to make it happen over the years. Glasgow is currently enjoying a burst of new sports opportunities for the LGBTI community with the Alphas starting this week, the first session for Knockout, a new boxing club for LGBT people, set to take place on Saturday 28th November, closely followed by the first meeting of a new Transgender swimming club in December. The Glasgow Alphas train on Monday and Wednesday nights, check out their Facebook page here for further details. Written on 27th October 2015.